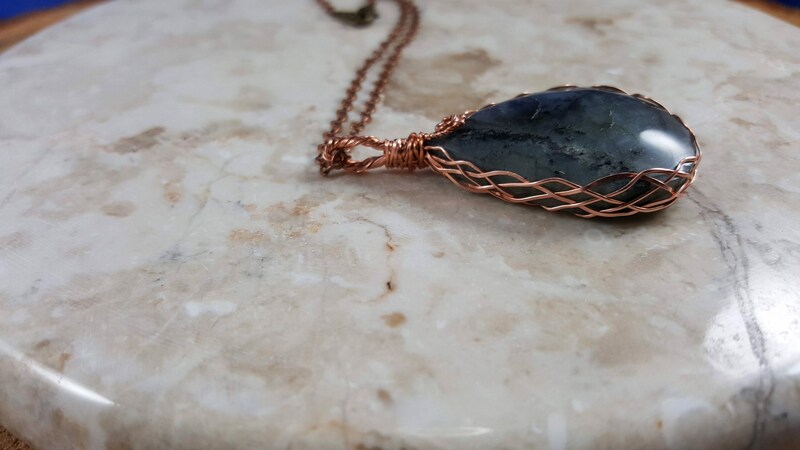 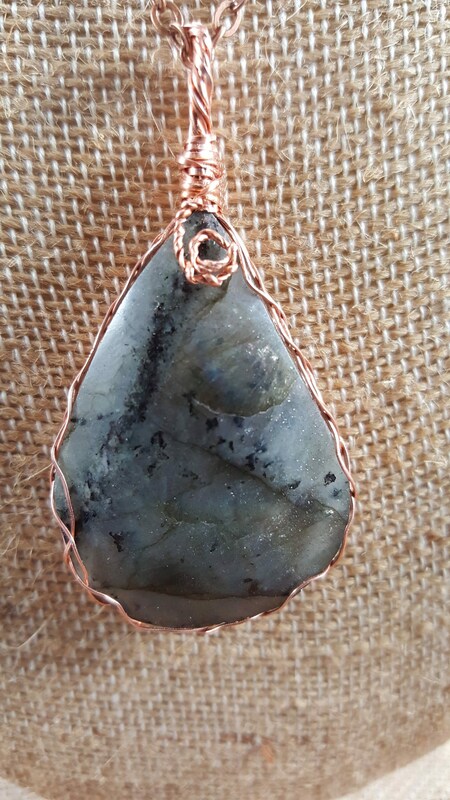 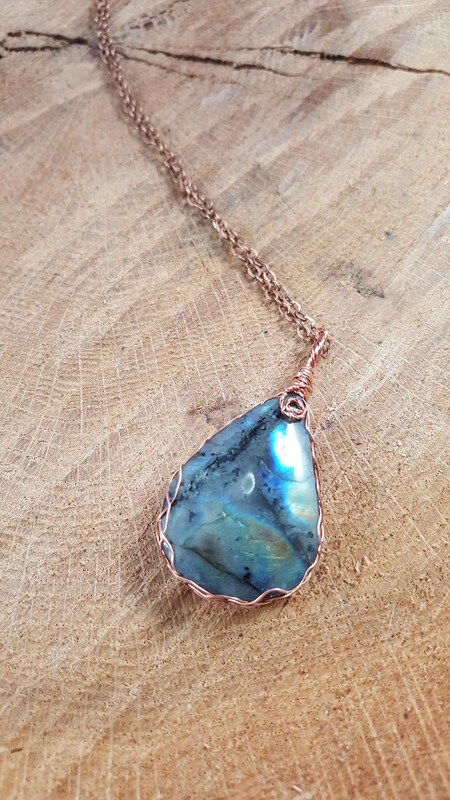 Labradorite pendant 2 with hand wrapped copper wire on a 20 copper necklace. 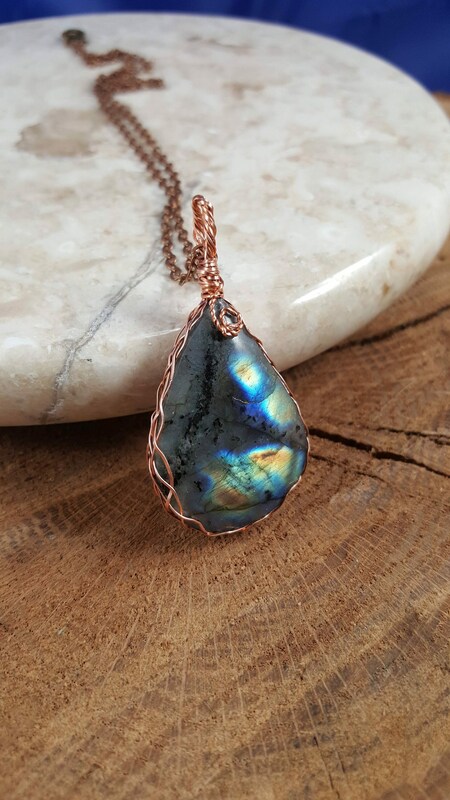 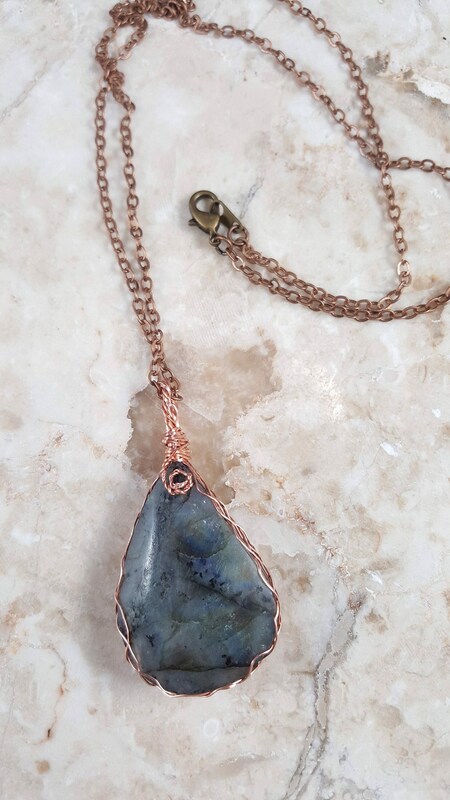 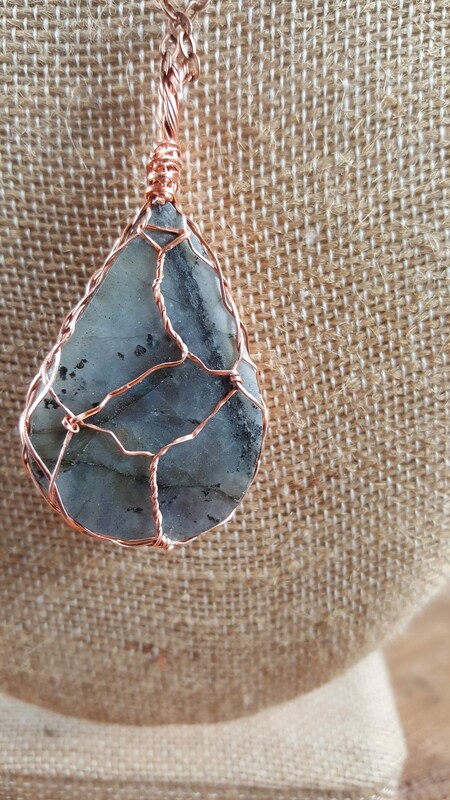 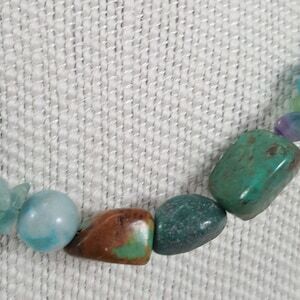 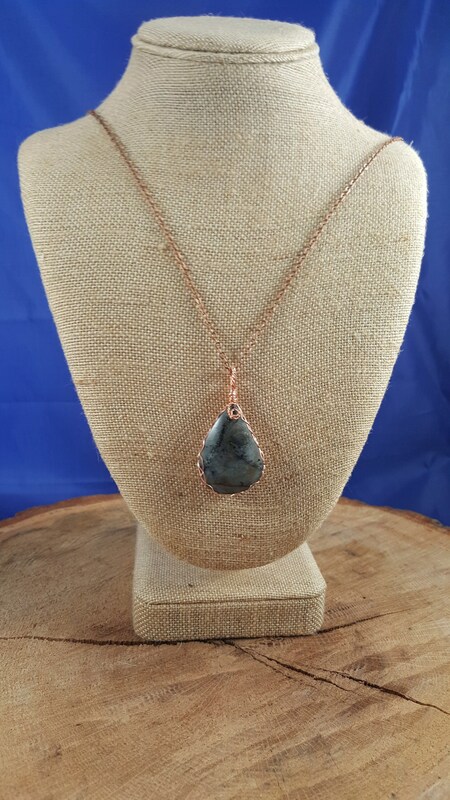 Labradorite pendant 2" with hand wrapped copper wire on a 20" copper necklace. 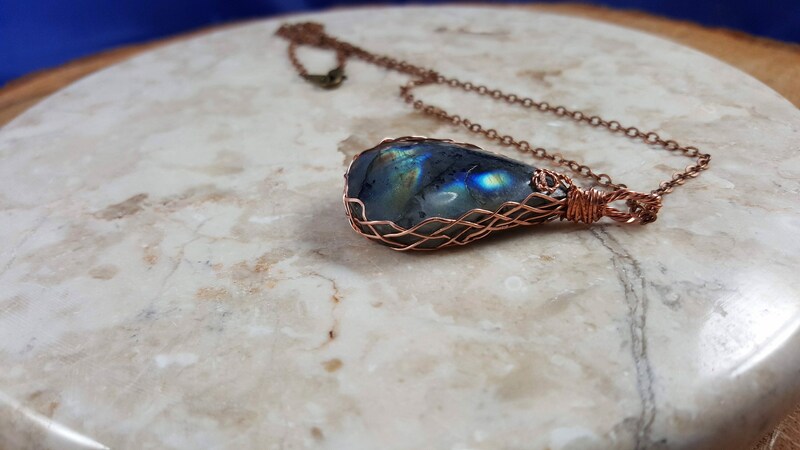 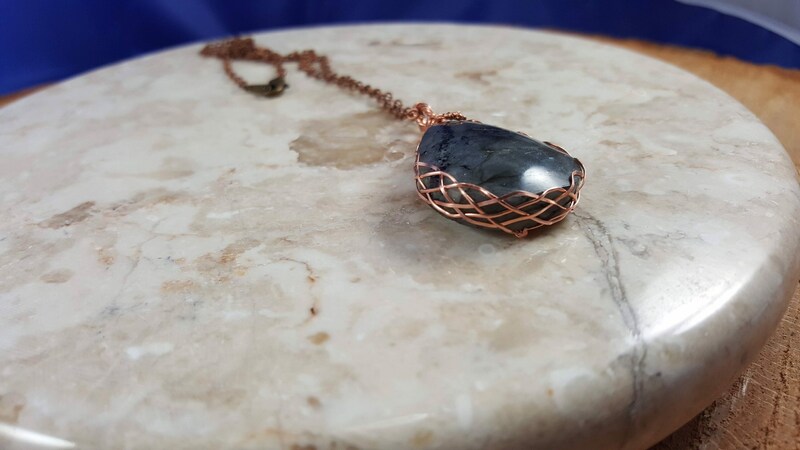 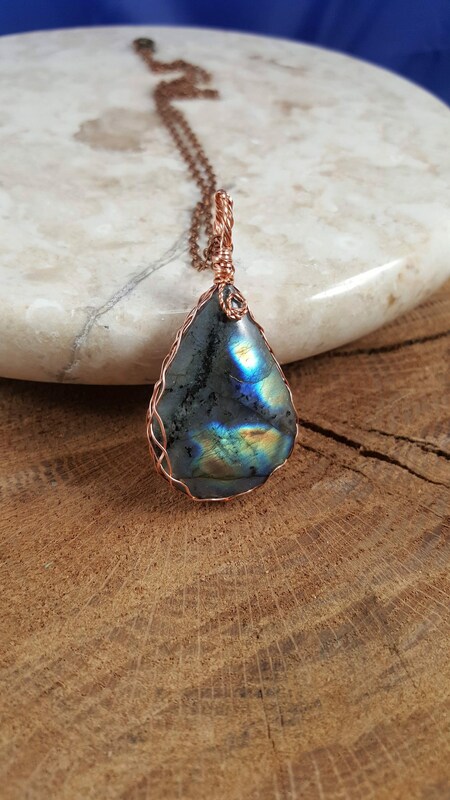 Beautiful 2” Labradorite pendant hand wrapped with copper wire on a 20” copper necklace. 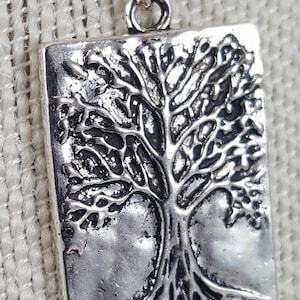 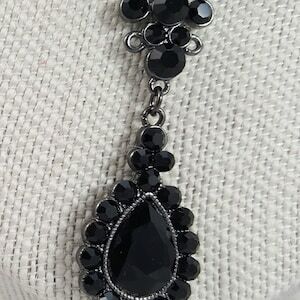 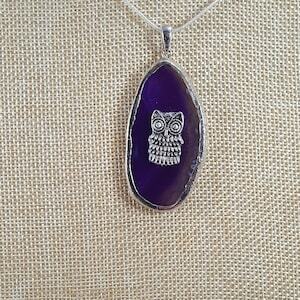 19" Silver chain necklace with a 1.75 inch silver family tree pendant.